In an ideal world, every time you go to flip a light switch or plug in an electronic device, you are going to get a steady, safe stream of power, but sadly, that isn't always the case. Your electrical system is a massively complex organism, and from time to time, it develops little hiccups that can inhibit it from performing like it should. 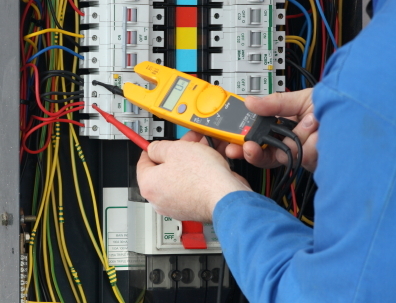 When it comes to keeping your home or business's electrical system functioning like it should, one of the best things you can do is call in a professional electrician and have them perform a thorough electrical safety inspection on your system. There are a number of different reasons that come together to make getting an electrical safety inspection a wise investment for your home or business, and to highlight exactly what a few of those are, our team of professional electricians have taken the time to put together this short list identifying exactly what a few of those are. Because we make use of it so frequently on a daily basis, it is easy to forget sometimes just how dangerous electricity can be. One of the major threats that can arise from an electrical system that isn't operating correctly is the risk of fire. Faulty or outdated wiring is one of the leading causes of home and business fires all over the country, but taking the time to get an annual electrical safety inspection for your property can help resolve these issues before they have a chance to become a threat. During your inspection, our team of professionals will go over your system thoroughly and make sure all of your wiring is up to date and up to code, as well as resolve any lingering issues that could become a safety hazard given the right conditions. While faulty electrical systems definitely put your property at an increased risk of fire, they can also create shock hazards for you, your family, employees, or customers. Whether it is from electrical overloading, faulty outlets, wiring, or whatever the case may be, it is important to catch these issues before someone gets hurt. With an annual electrical safety inspection, you can have our team of professionals go through your system and catch any of these hazards before anyone gets hurt. Helping to protect those important to you and improve the overall safety of your property. When it comes to your electrical system, whether in your home or business, it is important to ensure that everything is operating correctly and is in adherence with all local electrical codes. If it has been some time since your electrical system was updated, or you have had any work done to your system by a less-than-professional technician in the past, electrical safety inspections can be a great way to not only ensure your system is operating safely, but to ensure every aspect of your electrical system is in compliance with these electrical codes. Even if you have stayed on top of updating your system over the years, electrical codes are revised every three years or so, and making sure you keep up with these changes can save you a great deal of headache in the future if you ever need to have any significant electrical work done or you are looking to sell your home or business space.